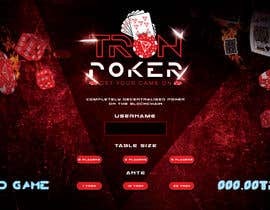 logo: We are open to any design but are keen on something like the TRON Logo with a royal flush in, around or behind it. If you want to do only one of these features (eg. logo) then we can discuss individual price for your design. What is happening with second place? Sir Please try to #extended it or text me so can send you what i have done. hey there is it possible for you to #extended for about 1-2 days! I can design logo as per the given brief. Kindly message for further discussion.